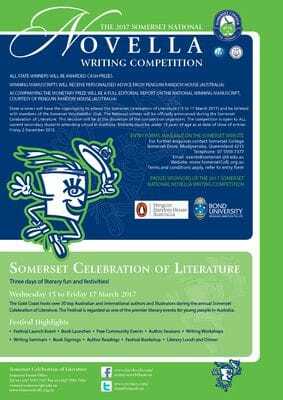 The Somerset National Novella Writing Competition is open to all Australian high school students. Entrants are required to write a novella of between 8,000 and 20,000 words. Further information on this competition can be obtained by downloading the Novella Writing Competition Overview. This competition is open to all Australian high school students. The closing date is 2 December 2016.